No images of Essential Energy Solutions Pty Ltd Installations. All Essential Energy Solutions solar and general electrical work is completed by our own teams, we do not sub contract any work, which means high quality workmanship & good communication. Our electricians have electrical & solar licenses as a minimum and all hybrid & off-grid installations are completed by electricians with the relevant qualifications. We confidentially offer a 10 year workmanship warranty on all of our work. Another installer took over a month to get back to me with just a generic quote, Dear Sir, no personalisation here are our rates...$2000 dearer on a $9500 job. And another was a Sydney based company, I live 4.5hours North of them! You need more local installers on your books for Midnorth coast. Was going to go with catch power for HWS, but I have 3 phase, and catch power still only single phase, so would only see a third of my panel array. Your website is excellent and I compliment u on it, taught me so much. From the initial phone call through to the installation the team at Essential Energy Solutions were fantastic, any questions were answered and the install team did an excellent job, they were friendly, explained the system and cleaned up after themselves. We chose Essential Energy Solutions for our rural property installation. The system was designed specifically for our situation with great quality components at an excellent price. Sales and service has been excellent and very easy to deal with. Could not ask for these guys to have done more. Pre sales was informative, ongoing information was excellent, the install guys were approachable, friendly and professional. Set up was fantastic, did not feel rushed when I had many questions, Wi-Fi setup and training was excellent (love watching my Fronius dots go the right way on my usage website). Our system was installed a week after accepting their quote, due to adjustments to other jobs and was performed expertly. It has been fitted to a Decramastic roof which many will avoid and there does not appear to be any damage. We have had enough rain since to test the result. Family members are involved at all levels and ready to answer any inquiry. 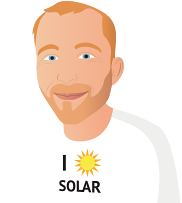 We have had a fabulous experience with Essential Energy Solutions- from the very first phone call through until completion and I'm sure beyond we have been made to feel like valuable customers. As your email arrived, the Team from Essential are installing the system. You will note that I have not entered into any comment regarding money; I regard that as a confidential subject to do with Essential and Graham Harris alone. All other items have/will be completed, but I must say that as an electrical incompetent (I only know that you must keep the smoke on the inside of the wire! ), I was amazed to find (by accident) your terrific online coverage of the various components that go to make up the system. After looking at the information you provided, I selected Essential as the successful bidder, and nothing appears to hard or difficult for them to have satisfied my queries and needs. We currently had AGL as our electricity supplier, but before deciding to continue with them, I rang four potential suppliers (including AGL) to find out what penalty I would incur by pulling out of the contract with AGL (we had 9 months to run), what rates they charge for Peak and Controlled Load power, and what Feed-in price they paid. The power in was pretty much the same, and I decided, on that basis, we would stay with AGL. Their was a fairly common rate of 11.1 cents for feed-in, with the odd one out offering 12.5 cents. When I put the hard word on AGL for more Feed-in, they agreed to give me 20.0 cents if I droped the 25% discount I was getting on Peak and Controlled Load usage. Over the last 12 months we have used 5,024 Kw of Peak, and 1,115 Kw of Controlled, for a total of 6,139 Kw, and a total power price of $2,635, after the 25% discount is made. With the 6.6Kw system being installed, the probable Feed-in would be about 10,450Kw less the approximate usage of about 5,000Kw, and the excess being Feed-in, would give us about $1,000 less whatever they will continue to charge for Lines & Poles, leaves us about $500 "in the black"! Unless you know something I don't about my calculations, and send an urgent email saying DON"T DO IT, I will be going for the $0.20 option! Thanks for the very important part you have played in our choice to go Solar. 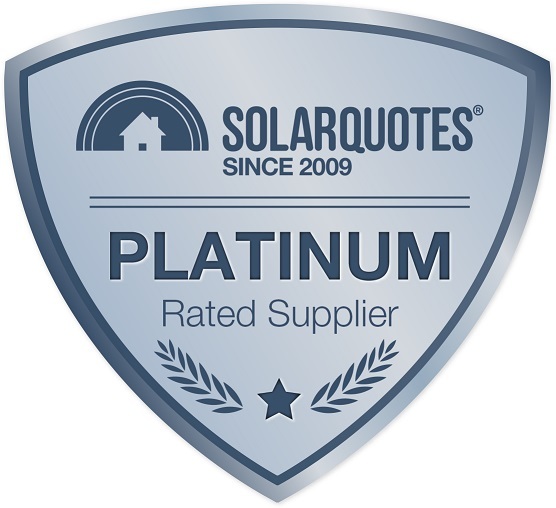 I found the staff at Essential Energy Solutions very knowledgeable and experienced from start to finish and after getting quotes from around 10 different suppliers the decision to choose Essential Energy Solutions was an easy one, They listened to my requirements and came up with the best solution for me. Essential Energy Solutions were on time through every stage of the process. Dale arrived on time for his appointment, explained everything to us so we understood exactly how it all worked. A quote was given there and then. There was no obligation or pressure to sign up then and there but we decided to get the ball rolling which it did very efficiently. From the Ladies in the office to the Tradesmen they were all very friendly and helpful and nothing was ever too much trouble.